How does this affect you? Your nervous system controls and coordinates all the functions of your body. If you interfere with the signals traveling over nerves, parts of your body will not get the proper nerve messages and will not be able to function at 100% of their innate abilities. In other words, some part of your body will not be working properly. It is the responsibility of the Doctor of Chiropractic to locate subluxations, and reduce or correct them. This is done through a series of chiropractic adjustments specifically designed to correct the vertebral subluxations in your spine. Chiropractors are the only professionals who undergo years of training to be the experts at correcting subluxations. 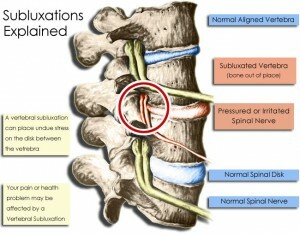 Subluxations are really a combination of changes going on at the same time. These changes occur both in your spine and throughout your body. For this reason chiropractors often refer to vertebral subluxations as the “Vertebral Subluxation Complex”, or “VSC” for short. Give us a call at (253) 864-6519 to schedule an appointment. After business hours? Fill out the contact form and we will get back to you as soon as possible. 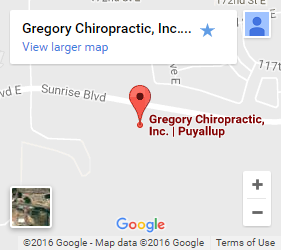 Schedule your chiropractic visit or massage with our friendly staff at Gregory Chiropractic today! © 2019 Gregory Chiropractic. All Rights Reserved.